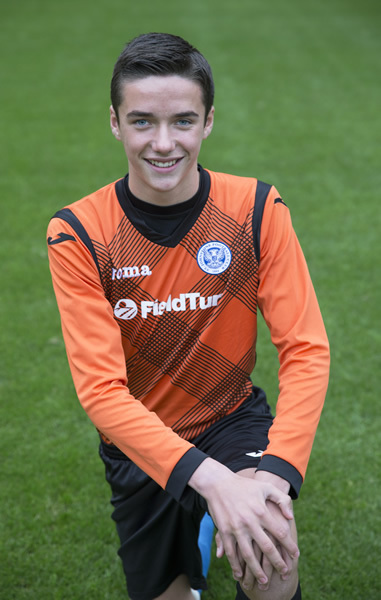 St. Johnstone Youth Academy prospect Ross Sinclair has been selected for the Scotland national development squad. The 13-year-old, from Scone, will now take part in regular gatherings with the national coaches who will monitor his progress over the coming months. Alistair Stevenson, head of the Saints Youth Academy, said: "It's great news to know that St. Johnstone have one of the best young goalkeepers in the country. "He is a good height, very agile and has a fantastic commitment towards his training - so he has all the attributes to become a top goalkeeper in the future. An added bonus is that Ross is a local lad from Scone. "Two other players, Oliver Hamilton and Ben Fraser, also made the final trials but unfortunately didn't make the final squad despite giving a good account of themselves. But, hopefully the experience will have helped them in their development."